One great thing about Little Italy, is the abundance of public art displays . Walking around the district you can’t help stopping to look at and photograph the walls. There are several very interesting street murals including this one which can be found on the corner of Juniper and India, and was created by Dawn Morrison Wagner, a chalk artist. A mural high on a wall depicts Venetian Gondoliers. Fragment of the Sistine Chapel on a building wall. 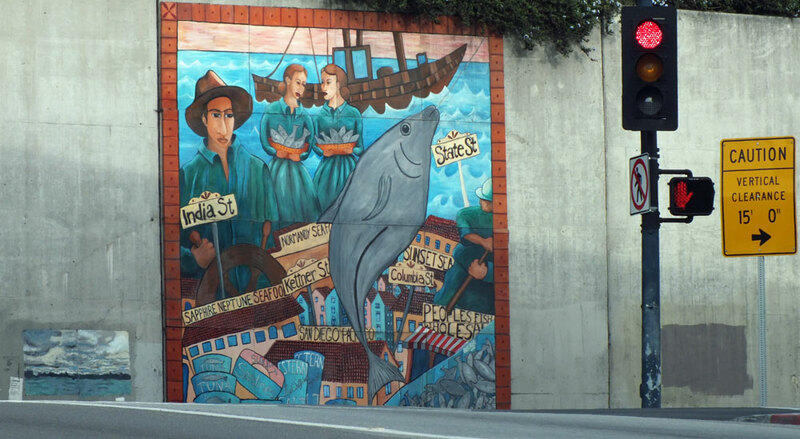 Mural titled I Pescatori by artist Renee Garcia, 2003. 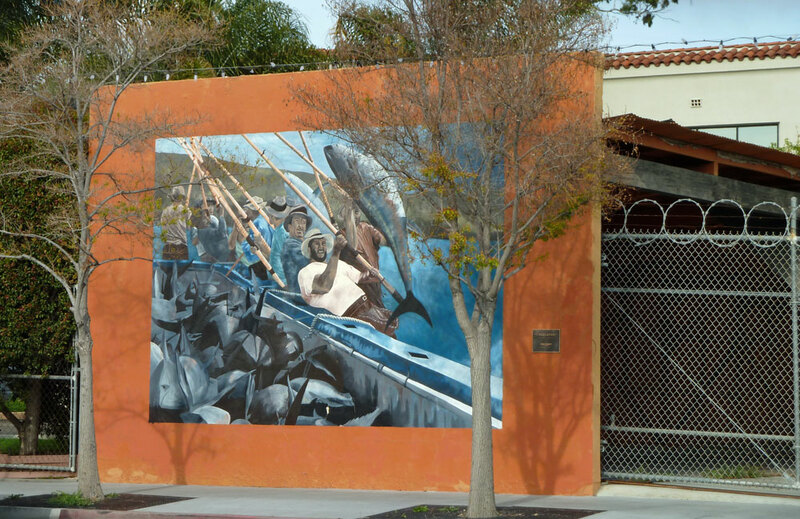 Depicts tuna fishermen who lived in Little Italy (many were Italian immigrants) fishing off the coast of San Diego. Ben-Hur Coffee. A cool old advertisement on the side of an old brick building. 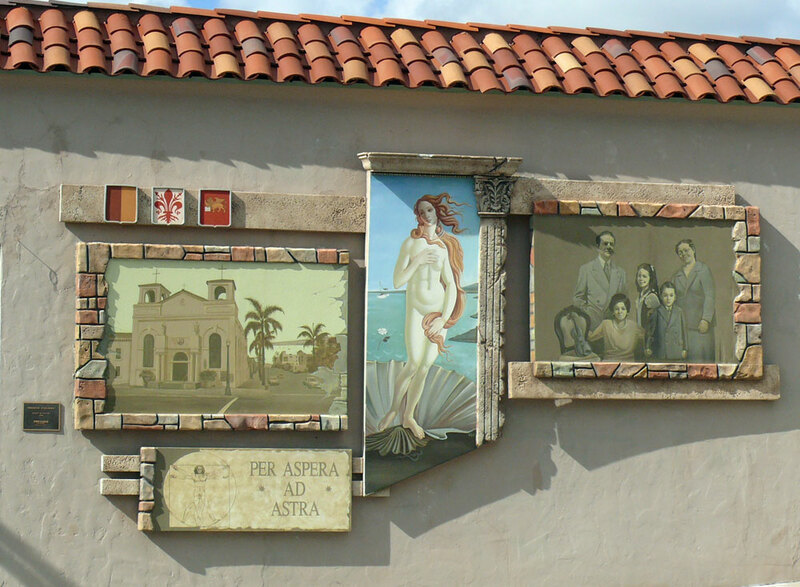 Several murals that together are titled “Eredita Italiana” by Yakov Kandinov, 2004. According to a nearby plaque, this is a Precious Cheese Art Mural Project. 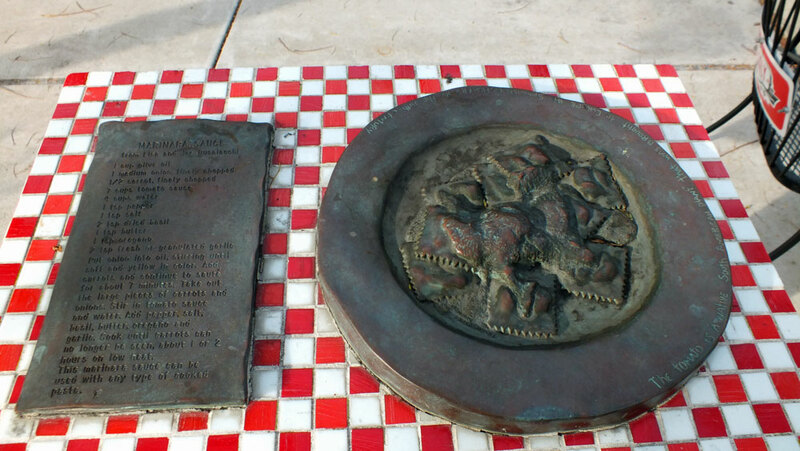 And in Little Italy’s Amici Park you can find four sculptures that depict tables of tasty food. The red and white checkered tablecloths you see are actually glass mosaics. The recipes beside the plates are designed so that inquisitive gourmets can take a rubbing, and bring the recipe home. The entire installation is called “A Recipe For Friendship” and was created by Nina Karavasiles in 2001. These images date back several years so they might not be there now, but I am sure there will be new ones to discover. 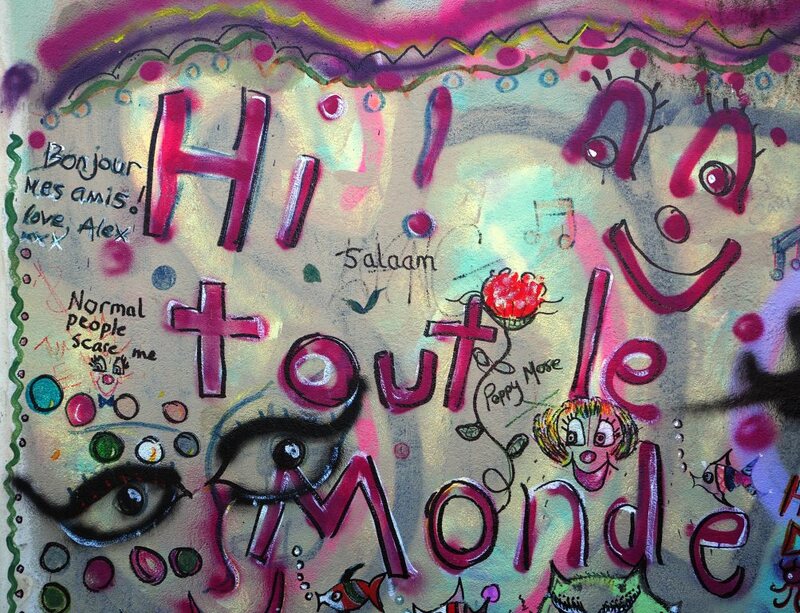 Andrea Michaelsson is a multi-faceted artist better known by her street artist name, Btoy. 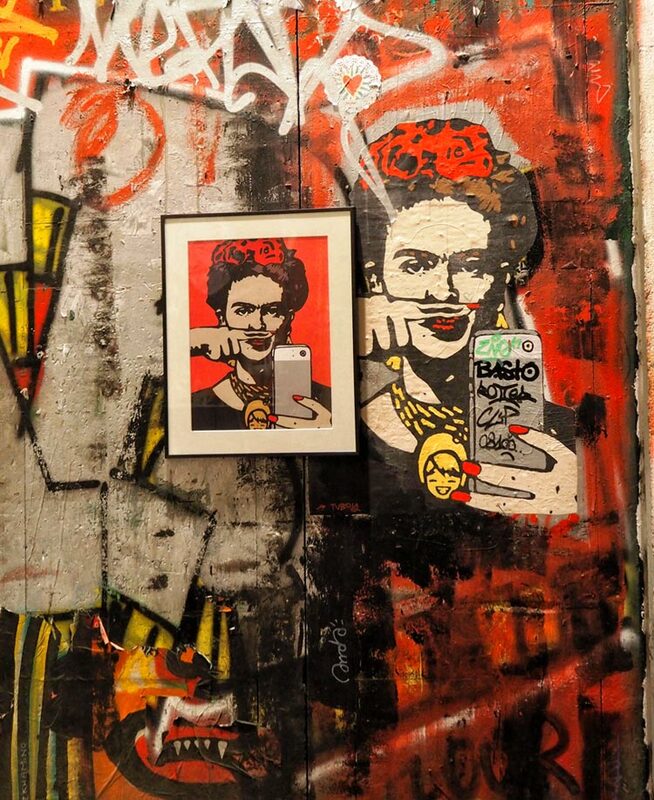 Her street art stencils often portray the importance of women, and sometimes incorporate famous portraits. Most of these women are female icons from the 1950’s, often depicted through powerful brush strokes combined with very acute stencil lines. 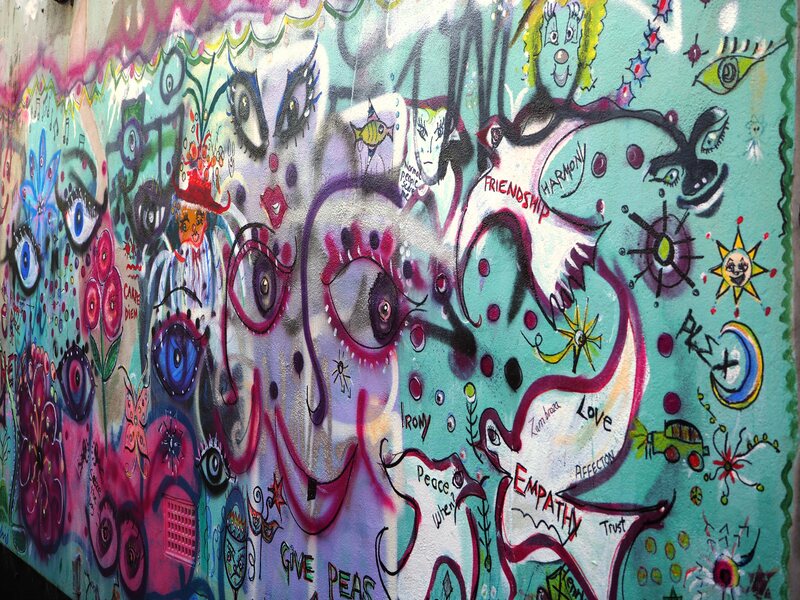 Sometimes what we initially view as random graffiti really isn’t when we stop and look more carefully. At least until the council decide to paint over it. I don’t really take photographs of people unless I am a long way away, it feels intrusive to me, though I do admire other photographers’ street photography. Faces are so fascinating. I needed to be more to the right to get this face full-on, but then the tree got in the way! The Rocks area in Sydney is a very interesting area to explore on foot. There are a lot of little cobblestone streets and alleyways in The Rocks and a lot of references to the past era around, in information panels, plaques and art. Each helps explain the site’s history and evoke the past. 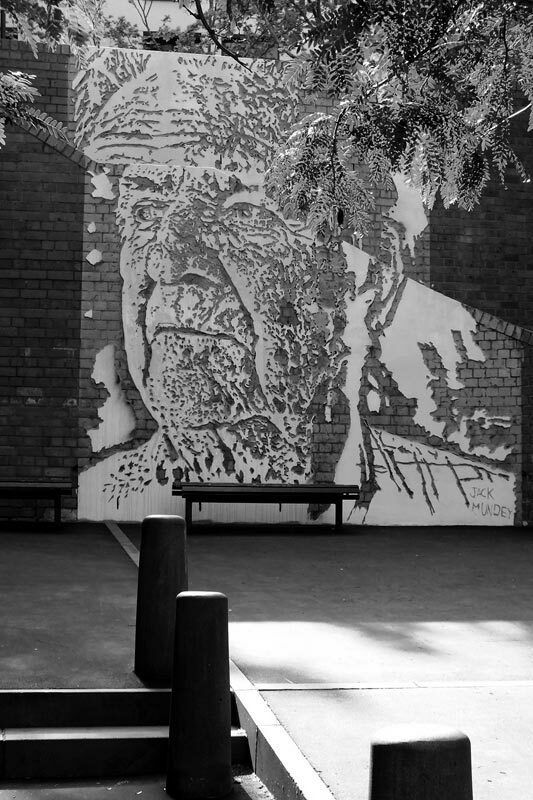 At the opposite end of The Nurse’s Walk to Suez Canal, the route ends at Globe Street, where you’ll find some amazing street art by contemporary artist Vhils on the stairs up to Harrington Street. He has painted a portrait of Sydney environmental activist, Jack Mundey, who worked to preserve some of Sydney’s built environments too, like Victoria St, Potts Point and other areas in the inner city. is historically home to Italian Fishermen and their families, many who arrived there from San Francisco after the devastating 1906 earthquake. The area went into a severe decline during the 1970s when the Interstate 5 was constructed destroying 35% of the neighbourhood. Now it is a very popular area. India Street is lined with restaurants featuring cuisines of both Southern and Northern Italy, including Sicilian dishes, and there are cafés with secluded courtyards serving good coffee, paninis and gelato. Delis offer a selection of foods, wine and delicious deli sandwiches and traditional Italian foodstuffs and there are some great local boutiques where you can find unique clothing, jewellery and small craft items. One great thing about Little Italy, is the abundance of public art displays . Walking around the district you can’t help stopping to look at and photograph the walls. 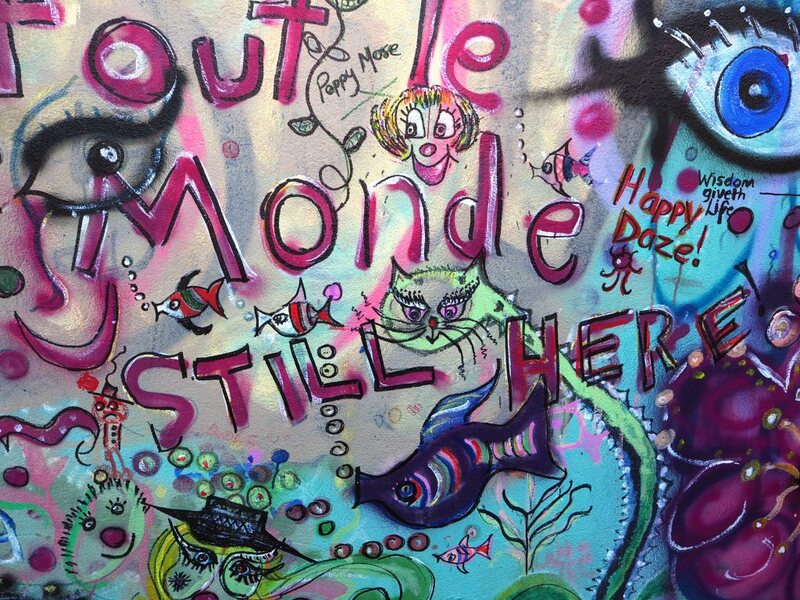 This mural can be found on the corner of Juniper and India, and was created by Dawn Morrison Wagner, a chalk artist. This is my interpretation of paint for Ailsa’s weekly travel theme.